Spaying/neutering helps curb pet overpopulation and gives a healthier & longer life to pets. Choose us for Safe Spay/Neuter with Minimal Hospitalization. We are conveniently located in Toronto. Our clinic is equipped with the latest digital monitoring including blood pressure monitoring, EKG and pulse oximetry. 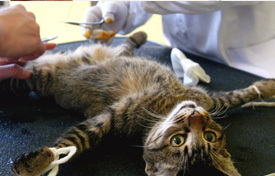 Spaying or neutering your dog or cat gives them a long life. It eliminates the development of testicular or ovarian cancer that is likely in animals that have not had the procedure. 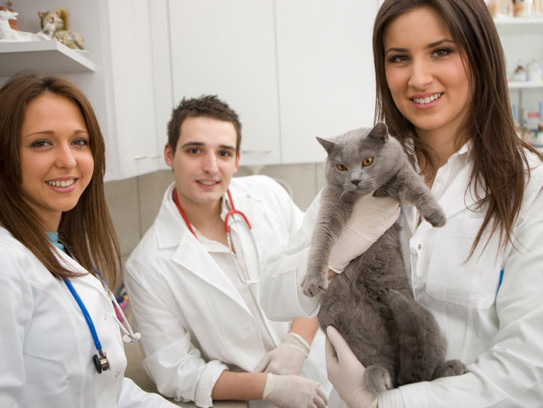 During a pet's spay/neuter procedure, they will receive brief vet exam, sedation, pain medication, general anesthesia, and of course, lot's of love and care. Humberwood Animal Hospital offers affordable spay/neuters to dogs and cats and utilizes high-quality equipment, techniques, anesthesia, procedures and pain protocol. 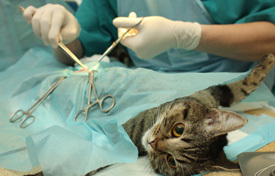 The clinic is conveniently located in Toronto, and will only spay and neuter dogs and cats. Please call our clinic to make an appointment with any general questions; we are more than happy to help you keep your furry friends healthy. Humberwood Animal Hospital in Toronto is a low-cost spay neuter clinic dedicated to making the procedure comfortable for both you and your pet. We understand that your pets are your family members and that low cost does not mean low care for your furry friends! Prior to administering anesthesia, we always conduct a brief vet exam to ensure there are no potential health complications. 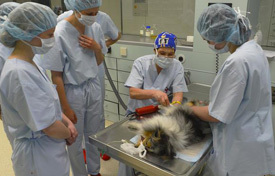 After the surgery, your pet is kept for a short time to monitor his recovery progress. Once we are confident that your companion is ready to return home, we will contact you. We not only offer spay neuter services, but also hugs, kisses and lots of love at the time of your pet's appointment. Our licensed veterinarian, Dr. Sandhu has 12 years of experience in working with dogs and cats, and is available to answer questions about our surgical procedures or the after-care. Thank you for choosing Humberwood Animal Hospital! We can't wait to meet you and your pets. Give Your Pet a Better Quality of Life. Book an Appointment NOW. At Humberwood Animal Hospital, we help the pet families get high quality spay/neuter services at affordable prices. Contact us today to schedule an appointment. To provide safe and effective spay and neuter services for cats and dogs in Toronto, and to promote education for the care and treatment for all animals. © 2017 Humberwood Animal Hospital. All Rights Reserved.